Tusi sites, which offer a glimpse into the ancient chieftain system that governed ethnic minorities in southwest China for eight centuries, have entered UNESCO's world heritage list. Three Tusi sites -- the ruins of Hailongtun castle in Guizhou Province; the Tangya Tusi city in Hubei Province; and the Yongshun old Tusi city in Hunan Province -- were added to the World Cultural Heritage List on Saturday afternoon (Beijing time) during the 39th session of the World Heritage Committee in Bonn, Germany. "The three sites are in areas where different ethnic groups and cultures coexisted," said Fu Jing, an expert with the China Architecture Design and Research Group. "They show the diversified culture and history of ancient China." The chieftains ruled Tangya Tusi city in Hubei Province, central China, for 460 years. Statues, a cemetery and an ornately decorated memorial archway are still standing. 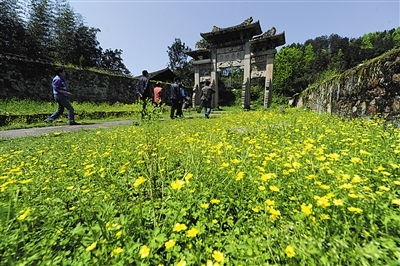 Yongshun Tusi city in central Hunan Province has a history dating back more than 600 years. Lying on the bank of a river, it has a temple, ancestral house, cemeteries and a memorial archway. Even its complicated sewage network still works. Lots of Tujia (a local ethnic group) in Yongshun flocked to the streets on Saturday afternoon wearing their traditional attire to celebrate the inscription. 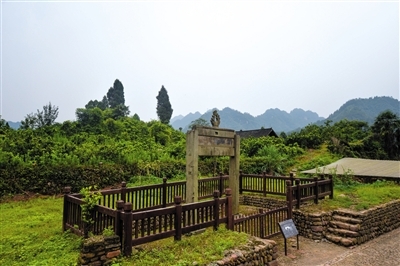 Experts said the Yongshun old Tusi city can provide important evidence for research on Tujia culture, and relations between the ancient central government and the local minority groups. Zhu Changxiang, 74, a resident of the village where Yongshun old Tusi city is located, told Xinhua that she was proud of her hometown. The inscription of Tusi sites will help expose the world to the Tujia, she said. "The Tusi system helped to unify the administration, as the Tusi could keep their army and sovereignty if they submitted themselves to the rule of the emperor," said Li Ping, deputy director of Tujia-Miao Autonomous Prefecture of Xiangxi, Hunan Province, which administrates Yongshun. Luo Weiqing, from Jishou University in Xiangxi, said the Tusi system was a model for preserving cultural diversity in a unified multi-ethnic country. To better protect the old Tusi city and let more people understand the local culture, the local government is building a park and museum, which will open in September. 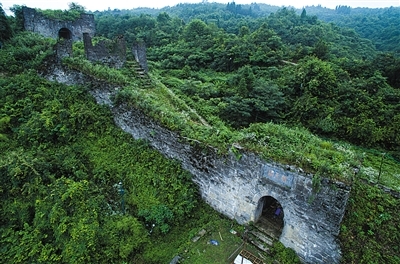 Hailongtun castle in Zunyi, Guizhou Province, was built in 1257. To protect Hailongtun, Zunyi government has allocated about 300 million yuan (48.36 million U.S. dollars) to relocate residents and improve the site. "We will continue to improve protection and renovation work," said Guo Zhengyong, director of the Huichuan district government in Zunyi City, where the castle is located. "Experts will be invited to do research in a bid to ensure the safety of the cultural relics and rationally develop the site," Guo said. UNESCO has acknowledged 1,007 World Heritage properties across the globe, 779 cultural sites, 197 natural sites and 31 mixed sites. With the inscription of the Tusi sites, China now has 48 such sites, just below Italy.